FATRAGLIDE ! !Terlet !Klix ! Hahnweide ! Calcinate !FAI SGP in Poland !1000 k. from Belgium. I left you last Wednesday with 3 flying day’s in Klix,… but it was not over yet. Unfortunately though, nothing happened till Friday. 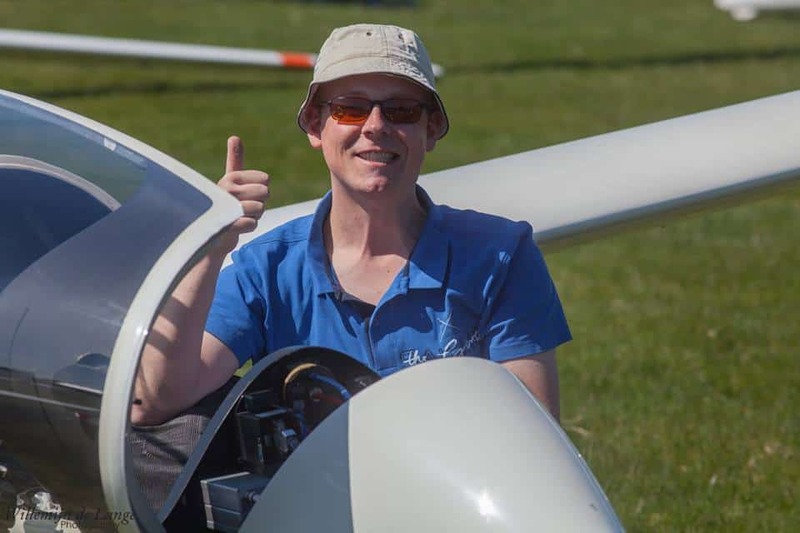 All AAT’s were set and Stephan Grunder from Holland in the LS 8 had his 2d win in this competition.He flew the 2.30 AAT in 2.36 and 202 km. With one day to go he leads with 100 points in standard class. In 18 m. the same task and another Dutch pilot winning the daily prize; Steven Raimond;223 km. Steven had an off-day in the beginning. A pity. A great win for Sigi and Brigitte in the 2-seaters. A 2 hour AAT for them and they flew 156 km. in time 2.07!! In club a 300 hour AAT and on spot 1 a St Libelle, then a ST Cirrus and an LS 1-0 cd. Best time and distance;193.8 km. in 2.56.Jan and Sabrina are still in the lead!! Day 4 was a fact. LAST DAY in KLIX. And a good one, though BLEU, but as I read “higher than the day before”! Standard; 3 hour AAT, with 223 km. Mogens from Denmark had another winning day and it brought him to spot 3 overall. Stephan from Holland was 8th for the day but won the KLIX COMPS!! !Well done Stephan !!! 18 m.;4 hour AAT, and 1000 points were for Ingo Trentelj in an ASH 31 MI/21 m. with 309 km and a speed of 77.25 km./h showing it was NOT easy. By the way the ONLY 1000 points, in this competition.!!!! 16 From 28 finished and the KLIX- winner after 4 day’s is BAS SEIJFFERT from Holland in the JS 1, [3.963] followed also in JS 1 his Dutch mate Jeroen Verkuijl. [3.940 ] Unfortunately Helge who was the leader, out-landed. Dosi’s; 2.30 AAT, 3 ARCUS variations in the top 3. 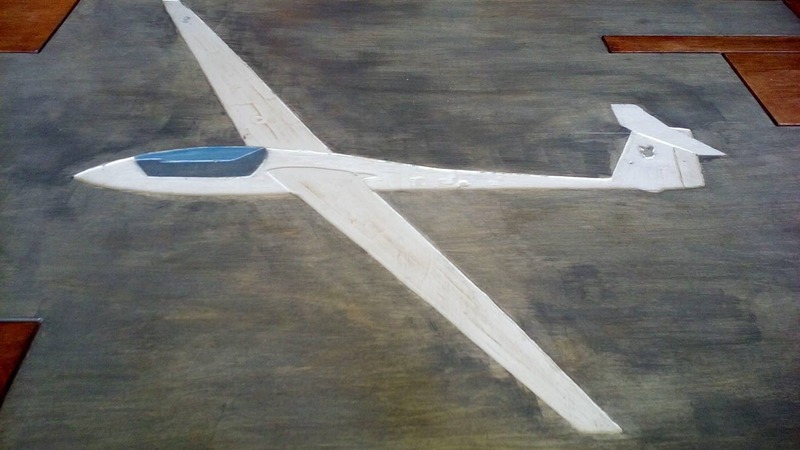 A Topglider!!!! Club; 3.30 AAT, flying together did not work on the last day for Jan and Sabrina. Starting ,..no worries but after 117 km. Sabrina was OUT and lost points. With a speed of 53 km./h Jan hung in and won the KLIX comps. [3.252 points] In the end only 43 points more than the runner up. A pity from the weather but ..no worries another nice KLIX competition, where pilots love to go to…AND.. still 5 day’s. 18 m. winners and standard class winners . Pictures shared by Frauke Kuijpers who participated as well and finished on 26 in St class in the ASW 20 WL. 8/9 flying day’s out of 10 in Martin. Combi-class had 9 day’s and the 14 pilots in this class had several 3 hout AAT’s but also day’s with only 2 finishers. 2 Day’s with 1000 points.On the last day, Monday, they set a 117.59 km. task and it was flown by the local Duo Discus with a speed of 135.29 km./h .Not bad. Viliam Kubovcik won this class in the Ventus 2cxt/18m. with 4.486 points. Juniors had their own class and 7 day’s for them;Ivan Bajana won this class with 6 participants….2.537 points. 8 Day’s for club class and Tibor Noga was a class apart. He won 6 day’s!!!! On the last day he was the only finishing pilot. 0ver 117 km. he flew around with a speed of 128,86 km./h in his ASW 19 B….. for 69 points!!! The runner up had 28 points for 63 km. Only 3 from 17 “bothered” to fly the last day in this class. 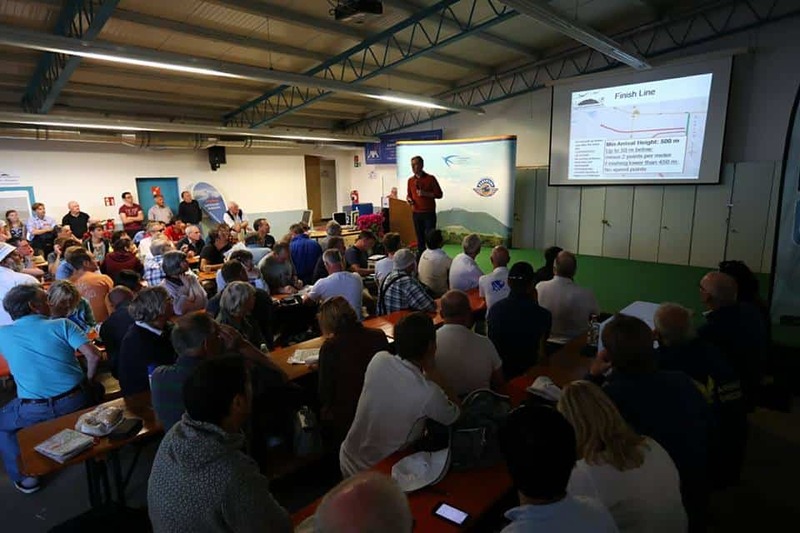 The18 m. and open Italian Nationals and the “fight” for the Coppa Citta di Varese , had 2 day’s and then a weather break but continued on Friday with a small task, but unfortunately no flying….cancelled. On Saturday and Sunday however, 2.30 AAT’s were set and the pilots for the CUP, had” difficult times” as Peter [Hartmann ANTARES 23] won EVERY day!! Good on him. No secret he won the CUP with 3.001 points. Good runner up was Alberto [Sironi] 2.716 points in his Quintus M.
Also important the scores from the 18 m and open class Nationals . 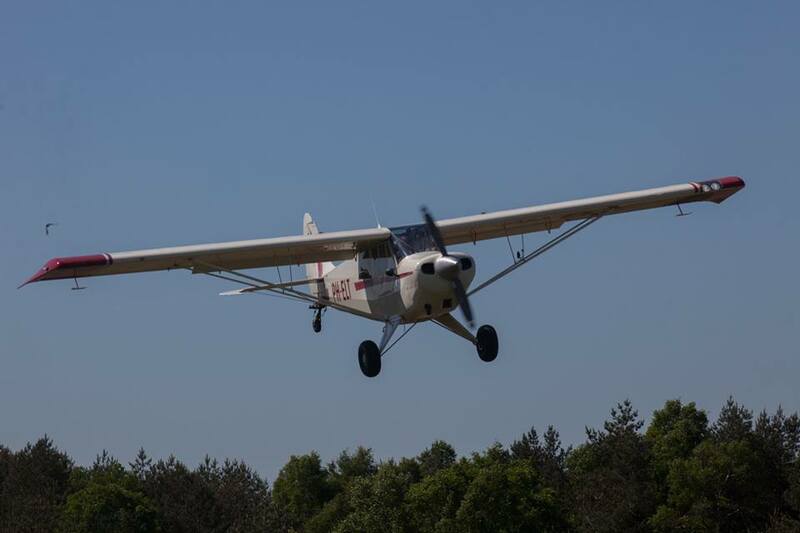 Alberto [Sironi] flew in open class with his Quintus M, he won 3 day’s and on one day he was runner up. Pretty clear he is the new Italian OPEN CLASS champion. In 18 m. Ugo Pavesi won the last 2 day’s and was once 4th and runner up. Ugo in the ASG 29/18 m. won the 18 m. NATIONALS with 2.904 points. 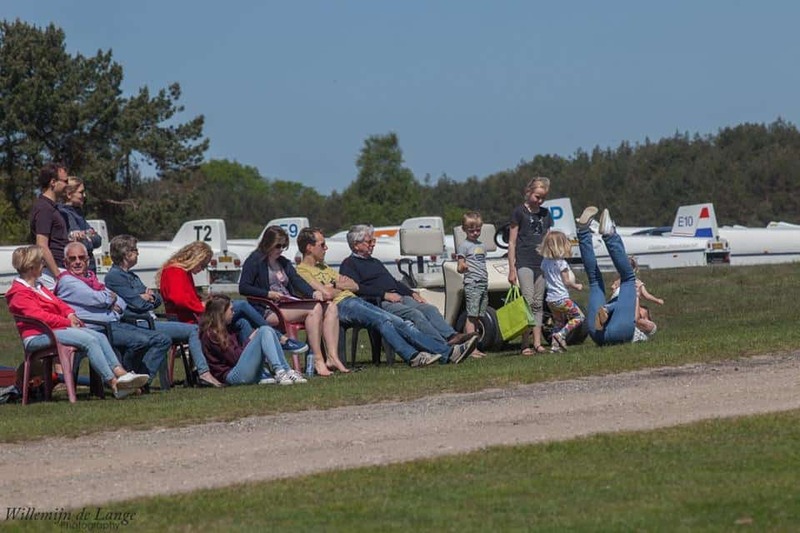 The annual competition at Hahnweide , the 52th edition, is always popular by pilots from all different countries and from different caliber. With beginners ,but also several former WGC and EGC champions. So a good mix and a nice bunch of INTERNATIONAL people. They , the 120 pilots ,started in 4 classes, on May 5 and continue till Mai 12.
first briefing on Mai 5. The tuggies tried to get all 120 pilots airborne in 1.5 hour!!! They did!! Later even in a shorter time. 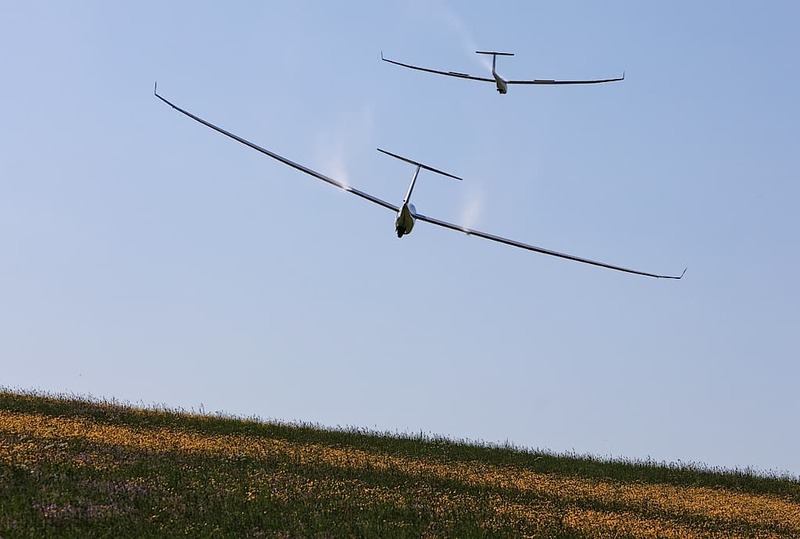 In the 2-seater class 32 teams and except for 3 ASG 32 MI, ALL gliders in this class are from Schempp-Hirth. day 1 with 260 km. was won by Laurent Aboulin in the ARCUS T.
271 for 15 m. and UK pilot Nigel Mallender won in his LS 8. 24 In this class. 300 km for the 18 m. pilots [ 42 in this class !!] and Swedish pilot Gunar Axelsson flew the distance with a speed of 135.54 ; only 688 points for the winner. 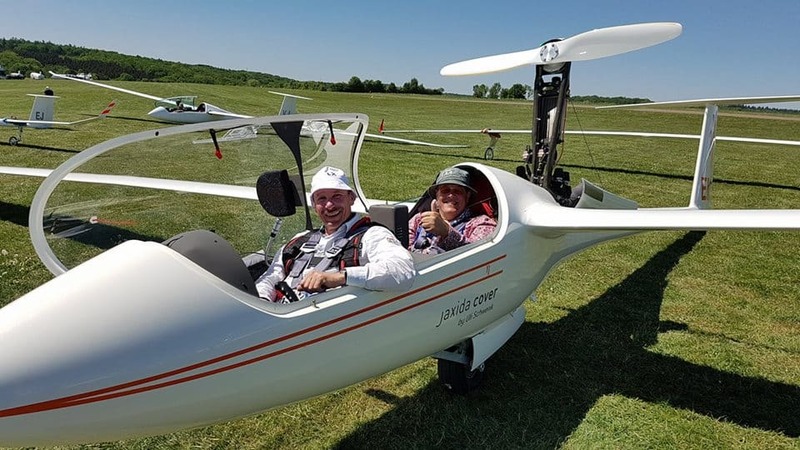 322 for open and Pierre and Arnaud [Belgium…EB29DR] were the best with 141,95 on the speed -clock!The French pilots Sylvain Gerbaud [JS1c evo 21M] and Philippe de Péchy [ same glider] followed just a tiny tad slower all 3 in the 141 km./h range. 16 Entered in this class. Must have been a great finish!!! Day 2, bigger tasks but less good weather , with less strong thermals than day 1 and a base of 1800 m. but also less wind. 306 for the 2 seaters; and the ARCUS T from Christoph Heidemeyer flew with a speed of 119 km./h. for 828 points. 326 for 15 m;110 km./h in the DISCUS 2A from German pilot Robin Sittman. 8 UK pilots in this class and Derren Francis was runner up. 336 for 18 m ;2 VENTUS 3 in the daily top with Mario[Kiessling] and Steve [Jones] 9 UK pilots in this class and an off day for Adam [Woolley] from Australia who out-landed. 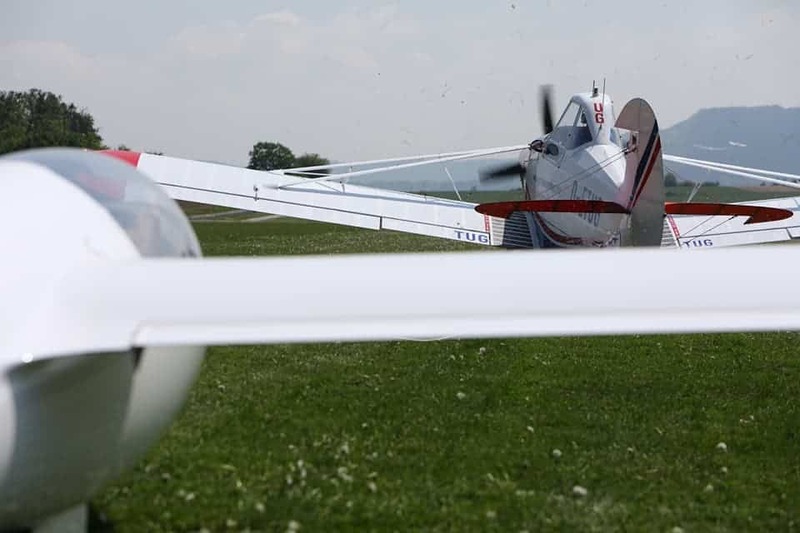 368 for open;all 16 open class pilots finished and Markus Frank was the fastest with a speed of 132 km./h. 3 Top French pilots in this class. “Nearly all planes are back at the airfield, we only have one outlanding of GM. Because of the blue thermals flying in groups was preferred, so even at the landing nearly all planes came in simultaneously.”organizers. Day 3; Sunny , blue and hot. 2-seaters; 360,69 km. AND,……FINISHERS!!!!!! 18 from 32 finished whilst in the other classes no finishers were to be seen. 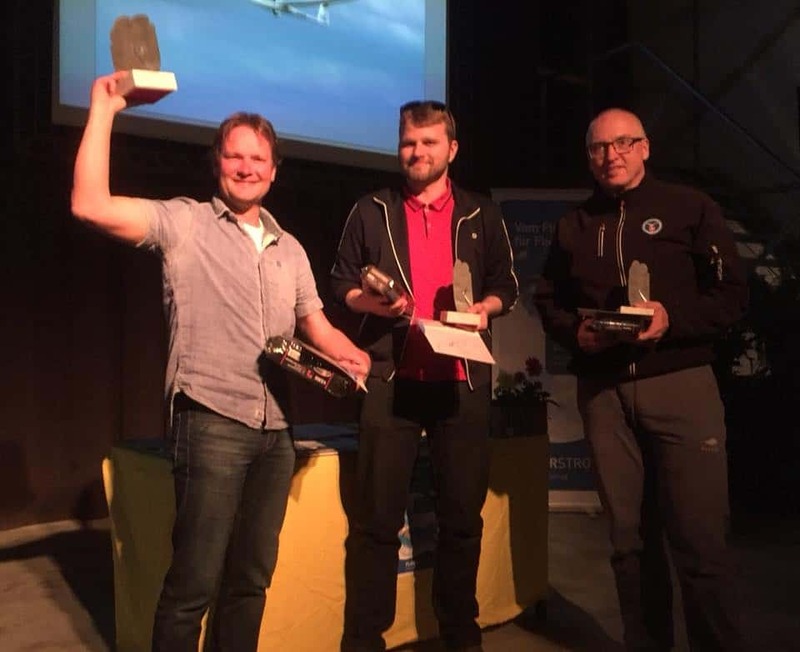 Great job from Belgium pilot Yves [Jeanmotte] in the ASG 32MI. Het got the 1000 points for a speed of 101,23 km./h That say’s enough, it was hard work in the office!!! 18 m; 437 km. It seems the problem was in the end and many “motored” home. Quite a few flew over 350 km. 600 Points for Reinhard [Schramme] and Sebastian Huhmann in the Ventus 3 and ASG 29.Russell was 3d with ONE point less. In open Pierre and Arnaud had 600 points as well. They flew 433 from the 513 set km. 15 m; 352 km; UK pilot Tim Scott, flew 299 km and also for him 600 points. Nils Schlautmann had 600 points as well. 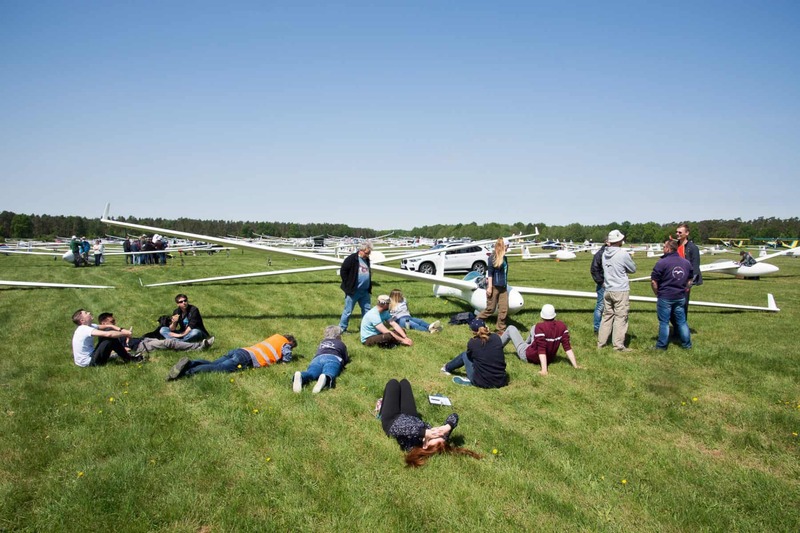 “Today only 16 pilots from the 2-seater class could finish the task. Everybody of 15m, 18m and Open class landed out ore used the engine.”was the message on the site. Day 4 yesterday; about the same weather. “Depending on the thermal conditions on the “Schwaebische Alb” we may have first arrivals of 15m class very early, starting from 4.45. p.m.” So MORE finishers today!!! 18 m… 446 km; Hanu [Halonen…Ventus 3 T] from Finland was very much motivated. The day before he got zero points for an airspace violation, yesterday …he won the 1000 points; 121,59 km./h.!! Denis Geurin was runner up . 33 Finished and it was not a good day for Werner Amann or Anti Letho,..they both out-landed. open….479 km; 2 German, 2 French and 1Belgian pilot in the top 5. Uli in the ETA won with a speed of 116,69 km./h. 1000 points for him and Keith. Markus Frank in the EB 29 and Eric Bernard and Philippe de Péchy, both in JS1c evo 21M and Pierre and Arnaud completed the 5. 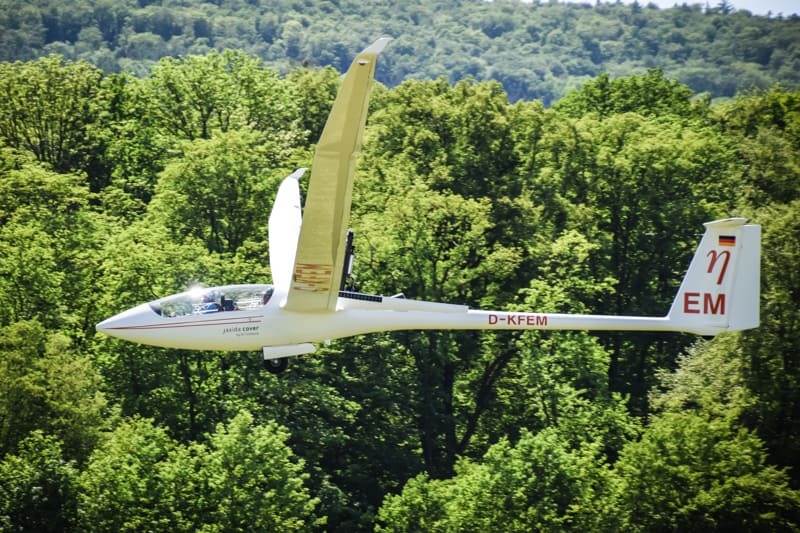 15 m…348 km; 4 day’s and 2 times a UK pilot and 2 times Robin Sitmann on top! !Robin leads after 4 day’s but is only 41 points ahead of Aussie Owen McCormack who flies till now very consistent!!! dosi…388 km; Dutch success as Joost and mate Erik [Borgmann] won the day!! Andy [Austria] was runner up with Wolfgang. Jim [Acketoft] from Sweden who unfortunately was one of the 3 “out-landers” on day 1 was number 3 . The first 5 spots in this class till now are close, very close;Martin Theisinger in ARCUS M with 3.196 points, Laurent Aboulin [ARCUS T] with 3.165,Anton Sibanc in ARCUS M 3.147 ,Joost Wolff with ARCUS T 3.143 and Holger Karow [ARCUS M] with 3.126. “On the fourth day of the HWW18 an accident occurred near the Lochenstein south of Balingen. At 5.20 p.m. there has been a mid-air between double and single-seater. All three pilots were able to leave the aircraft with the rescue parachute. Afterwards, they were taken to a hospital for observation as a precaution, but they were able to leave already in the early evening. As shared on the site. The Eskilstuna Open in 3 classes started last Saturday with 38 participants. Eskilstuna is not a huge field but a very nice one. I was the editor during the WGC over there with Robert Danewid as CD.Had a great time!! With 3 days till now the nationals in Bailleau had in one handicapped class tasks from between 2 and 300km. On day 1 [2 hour AAT] nobody finished so nearly 50 were “out”. Yesterday was better with a set 334 km. task and it was flown by all 48 participants. Winner for the day;Frederic Hoyeau. After 3 day’s the overall scores are very close so next week we look back on what happened! The venue of the Dutch Nationals from Mai 16 till Mai 25. 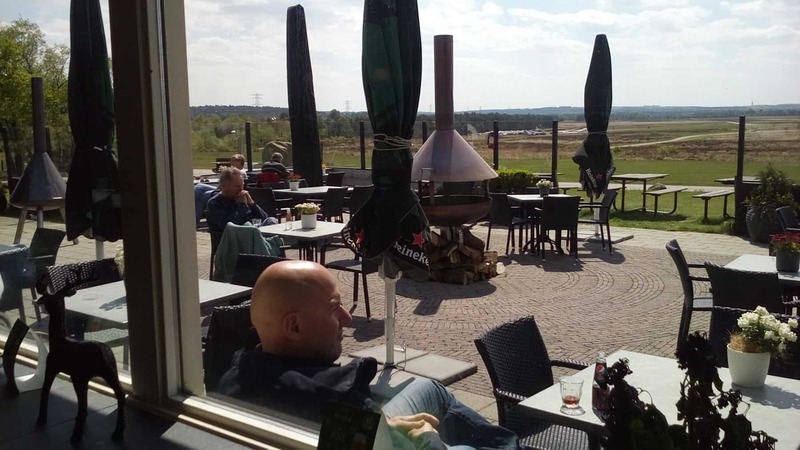 Last Wednesday after publishing, I traveled to Terlet for some business and I was impressed with the THERMIEKBEL, the restaurant at the airport. Sander who runs the business is doing a great job and ready for the season and the Nationals. 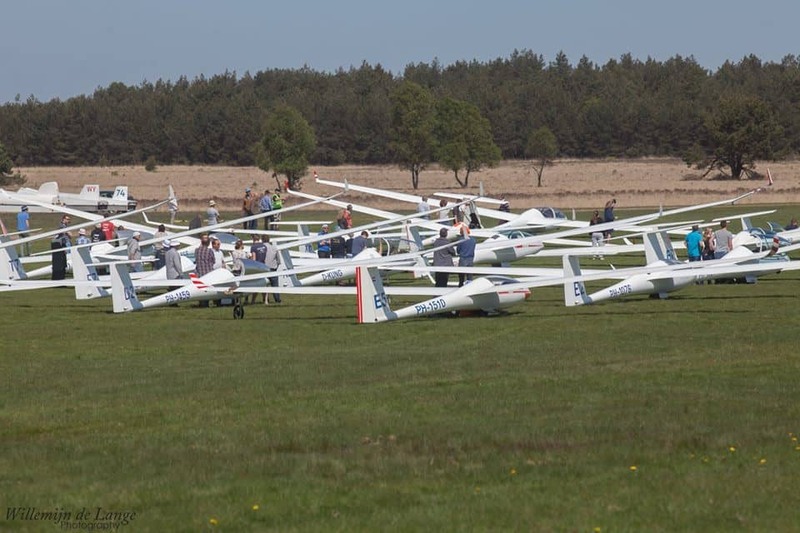 About 120 people were at the field/strips from 6 different clubs, but as the weather was good for soaring, only visitors at the restaurant or terrace.The rest was at the strip or in the air!! And they mostly flew up to nearly 600 km.!!! One day later ,..again a TOP-DAY with nearly 700 km. from Soesterberg and over 600 from Terlet. 756 km. from de Voorst in a DG 400 on Thursday, has to be mentioned too. Hope there is some weather left for the Nationals. 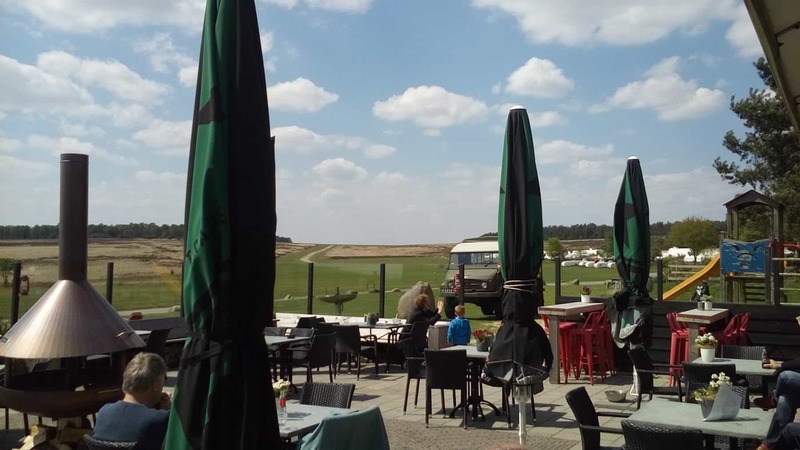 Not every gliding centre has such a fabulous terrace!!! 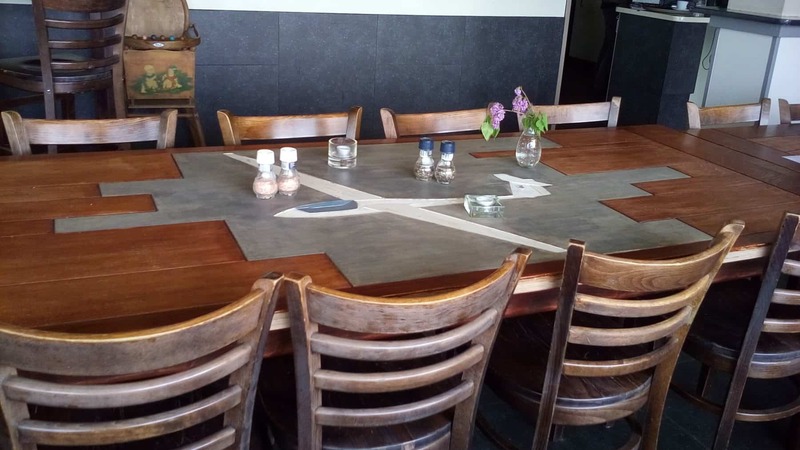 And,…where do you see such a table? Some pictures as Sander did some art-jobs on the normally “boring” tables. 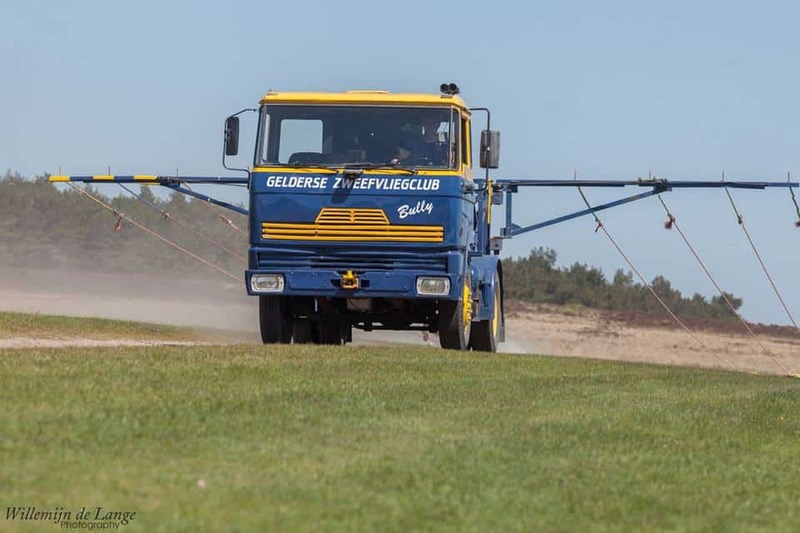 On Mai 5 the Gelderse at Terlet was the host for the Gelderse -One- Day- Competition and many friends entered.55 Gliders in 4 classes and many more pilots as quite a few teams flew in 2 seaters. The 2-seaters had to go for 192 km. the combi for 173 , club for 165 km and open for 238 km. It was a very blue day an inversion at 900 m. and very weak thermals and a pretty late start , as I read. Looking at the 2 seaters; NOBODY from the 11 teams finished. Best was a distance of 170 km. by team Venema . The 173 km. set for the combi-pilots was to “big” as well and also here no finishers but Simon in the Discus 2 flew 105 km. Club had 4 finishers !! !Good on them.!!! With a speed between 55 and 61 km./h. they had a tough but satisfying day. Frank [Hiemstra..St Cirrus…handicap 99] from the Friese Aeroclub won the 411 points, whilst Jelmer [Wassenaar] from DG was runner up in the LS 1 f-neo, a tad faster but a less good handicap from 101. [ 407 p.] junior Sjors van Loon was the number 3 also in St Cirrus and as there were only 4 finishers we mention the number 4 as well; team Konings/Sliedrecht in the DG 505/20 m.
In open no finishers either; Tjeerd Reitsma flew in the LS 8 134,61 from the 238 set kilometers. 6 From 15 flew over 100 km. An impression by WILLEMIJN de LANGE. TOP serie. Tuggies, self launchers and the men from the bully to bring the cables for the winch.AND Frank the winner and one from the 4 finishers. 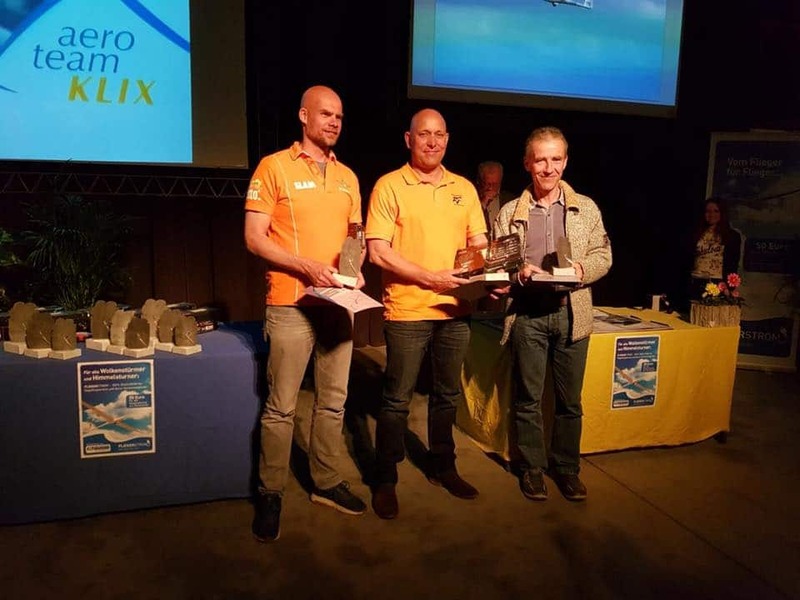 ——–What about….Belgium; They had the same great weather and Jeroen Jennen declared 850 km and flew 905 km. in an LS 8 .Good on you Jeroen!!!! “In the air before 10 AM and back home on the ground at 8 PM and 10 hours of PURE pleasure “Jeroen mentioned in his comment. 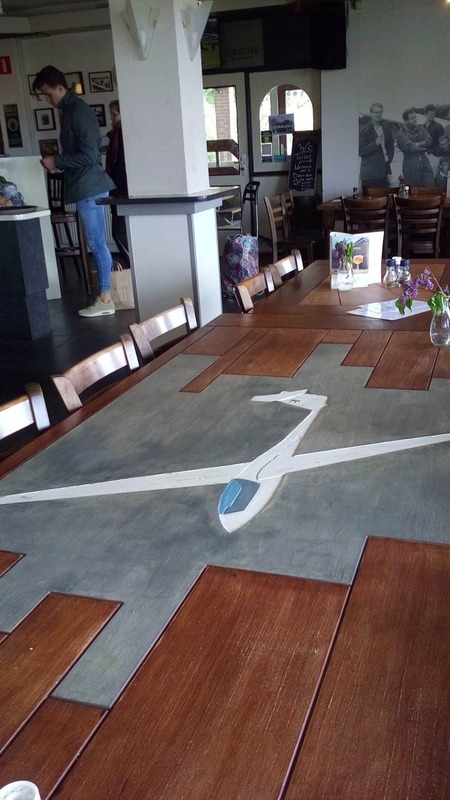 Same day same place, KEIHEUVEL, [one of my favorites] a 1000 km, flown by Tijl Schmelzer. The Schmelzer-boy’s both had an exciting week. Tijl , “First 1000k with our V3. What a day.” He motored from and too Keiheuvel and flew in the brand new VENTUS 3, over Holland and Germany to have another 1000 km. in the pocket. Last week his brother, Bert jr. flew 1500 km. from Hausen am Albis in Switzerland. finished last Sunday with”6 flyable” day’s . When you look at the scores the first thing you see is DNF , DNC and DNS. The first day was pretty normal, day 2 had a lot of out-landers and race 3 was pretty normal again, though on each of the day’s thunderstorms bothered the pilots. The rest of the day’s were a struggle or cancelled[ 2 races]. Adam Czeladzki in the JS 1 was the only one flying 5 races !!!!! The overall winner Gintas won 3 day’s/races and that’s all he flew 24 points. Lucasz Wójcik flew 4 races and had in the end 22 points. As said Adam had 5 day’s and gathered 18 points. Enough,….you are up to date.